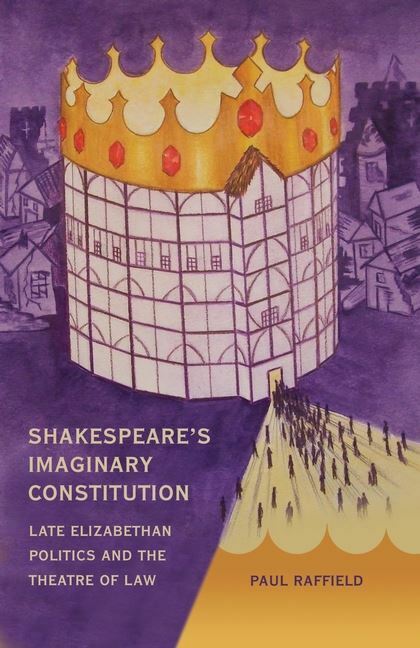 Through an examination of six plays by Shakespeare, the author presents an innovative analysis of political developments in the last decade of Elizabethan rule and their representation in poetic drama of the period. The playhouses of London in the 1590s provided a distinctive forum for discourse and dissemination of nascent political ideas. 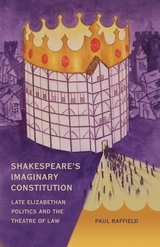 Shakespeare exploited the unique capacity of theatre to humanise contemporary debate concerning the powers of the crown and the extent to which these were limited by law. 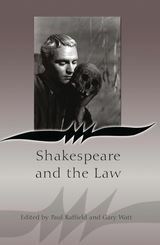 The autonomous subject of law is represented in the plays considered here as a sentient political being whose natural rights and liberties found an analogue in the narratives of common law, as recorded in juristic texts and law reports of the early modern era. Each chapter reflects a particular aspect of constitutional development in the late-Elizabethan state. These include abuse of the royal prerogative by the crown and its agents; the emergence of a politicised middle class citizenry, empowered by the ascendancy of contract law; the limitations imposed by the courts on the lawful extent of divinely ordained kingship; the natural and rational authority of unwritten lex terrae; the poetic imagination of the judiciary and its role in shaping the constitution; and the fusion of temporal and spiritual jurisdiction in the person of the monarch. 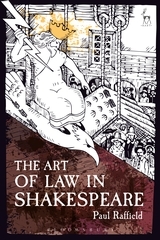 The book advances original insights into the complex and agonistic relationship between theatre, politics, and law. The plays discussed offer persuasive images both of the crown's absolutist tendencies and of alternative polities predicated upon classical and humanist principles of justice, equity, and community. “It is often a banal truism to say that different readers will get different things from a book. However, it seems a particularly apt judgement to make about this work of Raffield's, due to the impressive range and depth of its scholarship. The work as a whole is concerned above all else with the lines of battle between the common law tradition and the exercise of prerogative powers, and for this reason ought to reach a wide readership. Raffield...demonstrates a remarkable range of knowledge of the contemporary sources, whether legal, religious, political, theatrical, or philosophical. 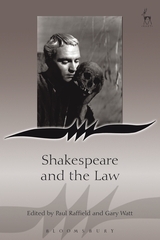 For this reason, this book is a highly useful resource for scholars of a number of disciplines within history, law, literature and theatre studies, and deserves to be read and used within all those fields.